Since its launch, the Toyota GT86 has received multiple awards for its no-nonsense, fun-to-drive philosophy. But without unprecedented collaboration between two Japanese carmakers and major backing from on high within Toyota, it might never have happened. Andrew English spoke with GT86 chief engineer Tetsuya Tada, who explained the complicated behind-the-scenes story that led to the most acclaimed sports car of the past decade. UPDATE: Tada talks shooting brake cars, BMW and dogs in part two of this interview. In the end, this is a story of how the development of this remarkable car overcame obstacles and forged a grudging and mutual respect between two teams of engineers, both of whom were working for very different companies. Here’s Tada-san’s story, in his own words. “You need to remember that this car was the result of an executive board meeting at Toyota in 2007 with the sole agenda that people around the world are losing interest in cars and what Toyota was going to do about it. One suggestion on how to address this was to go back to basics with a sports car that would rekindle interest. In the past, sports cars had been repeatedly rejected as having a poor return on investment, but at this meeting it was decided that if the technology division could make something that could restart interest, then the marketing division would support it. “I started to research the idea and the first thing that hit home to me was that all sports cars are launched to the same formula. The are very fast, with fast lap times and that was the index that was used to measure how effective the car was. Yet when I spoke to car guys around the world they universally said they didn’t want that. These guys were still repairing their old Silvas and AE86 models. “Yet the first question from the board when I reported back was, ‘how fast is it?’ They couldn’t imagine a car which drives like a dream but isn’t that quick. I was thinking that maybe the car guys were right when they said they thought Toyota would be the hardest company to get such a high-fun, low-top-speed car past. “Yet when I meet up with rival sports car chief engineers (and we do at various times around the world), we all talk about what we call the Devil’s Cycle of ever-increasing power, speed, weight and price. So I started to work on the packaging requirements for this different sort of sports car. It would need to be front engined and rear wheel drive, but it would also have to be ‘cool’ and by that I mean low at the front. Yet all our Toyota engines are quite high and that would mean the car would have to have a high front end to pass pedestrian safety legislation, which wouldn’t be good for the aerodynamics, the looks or the ‘cool’. “It quickly became clear that we would need a flat-four cylinder or a rotary engine for such a ‘cool’ sports car. And by coincidence, Toyota and Subaru had just announced a collaboration deal. And although it wasn’t in the area of building a joint sports car, they did have a flat-four engine. In fact the deal was that Toyota was buying some Subaru shares back off General Motors and there was no financial benefit until we came along and suggested we talk to Subaru about their engine. “When we first approached Subaru they couldn’t believe that our plans for a sports car wasn’t a four-wheel drive or a turbocharged engine. ‘Who is going to buy this car?’ they said. We talked for a while, but the discussions stalled and we didn’t do anything for six months. Then we built a prototype based on a Subaru Legacy and that’s when the mindset seemed to change at Subaru. We lent them that car and the Subaru management came back to us and said, ‘this is such an interesting car. Every time we lend it out, it comes back with the rear tyres worn out!’. “So the project was on again and the initial approval was for us to take the Subaru engine as it was. This was for financial reasons. We persevered but one year into the project and both sides could see that while we had a sports car, it still needed a good power level of 100bhp per litre and also an environmental target of a maximum of 160g/km of carbon dioxide emissions. With the Subaru flat four as it was we could get one and not the other. If we wanted 160g/km we only got 60bhp per litre, which meant 120bhp in total; not enough. “We had hit another wall. I went to our engine simulator and looked at the set up we had to give us the figures we needed. The chief engineer from the Lexus LFA came to help us and he proved that with Toyota’s D4S [direct and port] fuel-injection system and a certain bore and stroke we could hit our power and emissions targets. “Oh dear. We then had a lot of problems with the Toyota board. We needed the company’s most advanced direct fuel-injection system, but when I said I was going to disclose the inner workings of the most modern Toyota advance to an outside company, they said, ‘Are you crazy?’. “Our saviour turned out to be the head of engine development Shinzo Kobuki who had also developed the engine in the AE86. He took on the task of persuading the board to allow us to use D4S. You might have thought that owning Subaru shares meant that such a move would be in both our interests, but no. “What’s more Subaru’s reaction was a bolt from the blue. ‘Not over my dead body,’ was their reaction. The rationale was their previous experience with direct injection and the many problems that had occurred. The chief executive officer of engine development had previously been the head of the introduction of direct injection at Subaru and was very anti the idea. Plus of course, the Subaru way is of corporate conservatism. “So Mr Kobuki came out for us again. ‘I will convince them,’ he said. In the end he undertook to take on the warranty for all problems. What really won everyone over was when we built our first engine. You can imagine that the relationship between Toyota and Subaru at the time was very low. I admit, I was still thinking, ‘they’re never going to agree to this’. Even Mr Kobuki didn’t think that Subaru would understand the ramification of the D4S, the benefits it gave and its importance to Toyota. I was pretty low. Find out more in our other Toyota GT86 posts or on the Toyota website. Britain’s oldest Toyota Carina E found! Should bring the starlet gt turbo back on the seen , they are wicked little cars a 4wd from factory would be emense !!!! I am also a lead engineer and program manager. I work, work, work and would like to find more fun in my commute to the office. I have two children and a wife who does not want me on my motorcycle, anymore. I desperately want a 86/FRS/BRZ (great price point! ), but in a convertible to give me that feeling of freedom during my drive. I MUST have a back seat for the kids. I do not want the BMW, or Volvo, or any other car designed for a lawyer’s wife. PLEASE, PLEASE, PLEASE release the 86/FRS convertible with a back seat. PLEASE, PLEASE, PLEASE!!! Thanks for your post and good to read your comments. 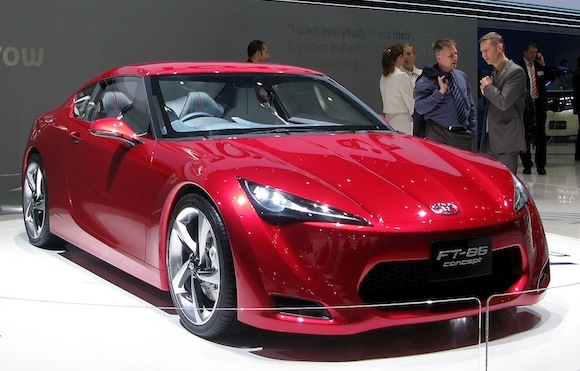 As it stands today we have still not oficially confirmed that the FT-86 will be going into production. We showed this concept car at the Geneva motor show to gain market feedback and gauge public opinion. In view of your comments we will certainly give them a nudge on your behalf but no news in the pipeline at the moment. I’m 67 and have driven many nice cars, the latest is an Altezza which I have had for 12 years. Wanted to change it and drove the GT 86 here in New Zealand. Loved it. Delivery should be in the next 3 weeks. Can’t wait. Thanks for sharing your Toyota story and for your loyalty! We’re so pleased to hear your new GT86 is arriving soon. A very good choice, you’ll have a lot of fun driving this car. We wish you many happy miles with your Toyota and look forward to hearing from you again. I bought a used FRS 2 mos ago and am amazed by it. What a great car! The thing brings a smile to my face daily. I almost missed getting this car, I thought it couldn’t be as good as the reviewers and early buyers were saying it was. But it is. If you can get one, do it, you won’t regret it. Love that thing, what a great car. Thanks for building this thing everyone involved at Toyota/Subaru!!!! I’m a big fan of the Anime manga Initial D. Before the Toyota 86 was launched, my only dream car was to own an AE86. But now, Thanks to Toyota and Subaru, They finally made a sports car that is absolutely fun to drive at an affordable price. This car is a must even if you have to wait for 6-8 months, it’s really worth it. We’re so pleased you like the GT86 and enjoyed the drive. If you need anything from us, please let us know. In the meantime, we’ll leave you with this…http://ow.ly/jcte8. I am 67 years old and have owned a Supra Mk 1 and the Mk 2 along with the Toyota Celica and a Nissan Skyline GT-R R-34. I currently own the Skyline, Prius Anniversary and a RX-8 and i have to agree, there is no ‘small’ fun sports cars on sale anymore, they are either family friendly, economical to the point they aren’t fun or environmentally friendly. Manufacturers need to think about what people want and need, not just what they need. We’re so pleased to hear of your Toyota loyalty! Thank you for your comments, we share these with our Product development team and appreciate hearing customers’ views. If you get an opportunity to take the GT86 for a drive, we think you’ll find the fun you are looking for in a sports car. We hope you continue to enjoy your Toyota. 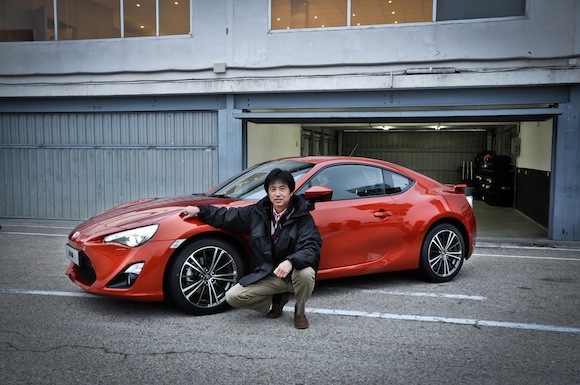 Great article and very interesting evolution of the GT86/BRZ/FRS. I was in the market for WRX and wanted to try out the BRZ to see if the hype was true. Have to admit I came away from the twisty road test ride impressed. Only wished it had a little more power. I think if you place the 2.5 L Subaru boxer engine in either direct injected or turbo form then you’ll have something special. I’d also add wider seats at least in the US market. Consider an automatic CVT transmission option for non-manual drivers as well to pick-up that end of the market. Please do not respond to a Toyota focus group. As a BRZ owner I can not think of nothing more horrifying than a 2.5l CVT BRZ. More weight over the front wheels a larger gas tank and brakes would bring it up to 3000 pounds. The twins are unique in their market. Leave the soft drivers to the excellent Mustang V6. I have to thank Toyota and Subaru for building this car. I have always loved light entertaining cars to drive. It has become more difficult to find such cars. In 2000 we had the Toyota MR, Celica ,MX5, RSX,then came the RX8 all under 3000 pounds and $30,000. I picked the 2500 pound 140 hp Manual Celica GT. I loved that car. Fun to drive quick and fuel efficient. All 6.5 feet of me could fit in it. In 2007 when I went to replace it their was nothing. I could not fit in the Civic Si or the MX5. So I just kept my Celica. I test drove everything. Liked nothing. Then in 2009 I saw the FT86 Concept car. The long wait began. 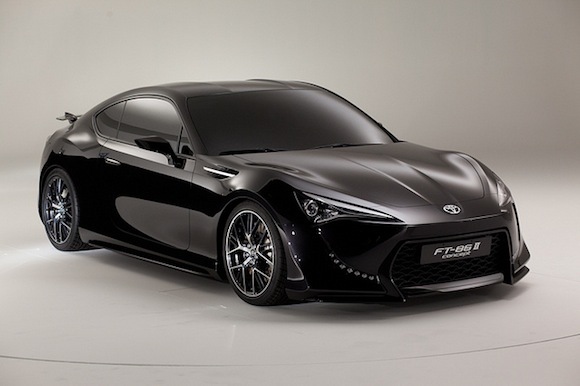 As soon as I could I placed an order on the Scion FRS and the BRZ. My final selection was the BRZ. It is better than my wonderful Celica in almost every way. I sold my 300,000 mile Celica 4 months before I picked up my BRZ. Thank you for providing a car that no one else makes or cares to. For all the guys that need more power,better interior, and larger wheel and tire package. Remember you also get more weight,more complexity,less fuel economy and it is going to cost allot more money. You have other options use them. I just love Tada San’s recollection of the rise of this wonderful vehicle with his humility, candor, and notes of appropriate brashness. Driving projects in large corporations is difficult indeed and a HUGE kudos to him, his team, and supporting characters for persevering. I toast you with a tall bottle of Kirin Ichiban! I appreciate this article, very good and I get the entire concept of the car. But… in the American market even minivans and most of the mass market family cars will shame the GT86 in a straight line. I have heard every argument on how speed is not everything, well neither is handling. You need handling and speed for a balanced sports car. As of now we have economy car like acceleration. To stay relevant the GT86 is going to need more power in the USA even if that means a higher price tag, it’s the car’s weak link. And this is why some of the best cars Toyota has made failed in the U.S. It’s not the car, but the mindset. A Toyota Camry V6 may be faster in a straight line, but the GT86/FRS will absolutely demolish it in the mountain roads. Never mind the numb steering response, heavy chassis, and FWD of the Camry. In the mid-west U.S. where the roads are agonizingly straight, you may find better thrills flogging a high powered car onto the freeway than a GT86. The MKIV (JZA80) Supra TT had the power and handling, but it was too expensive relative to domestic offerings in the U.S. What happened to it? It was discontinued in 1998 while it was still on-sale in Japan until 2002. The MKII (SW20) MR2 Turbo also had the power and handling, but it also became too expensive. It was discontinued in 1995, while still on-sale in Japan until 1999. The ST205 Celica GT-Four never even reached the U.S., and that was a shame. Both the MKIV Supra and MKII MR2 followed the Devil’s cycle by being bigger, heavier, and more powerful than their predecessors. Given two similarly experienced drivers, a GT86 can stay in front of a Corvette because the Corvette can’t use all of its power in very tight, twisty mountain roads. Yes, given a straight road, it will absolutely blow past it, but once the road turns again, the GT86 will be right there. You can see this play out in ANY mixed-class racing where there are lightweight chasses with favorable power-to-weight ratios versus heavier, higher powered GT-type cars. Maybe Toyota will add more power eventually, but keep in mind that both the Supra and MR2 had base models that were more affordable, and yet their fates were still sealed. When I got to the end, I was looking for the next page button. Such a great read! As an owner of a 1991 Toyota MR2, I can attest to what the guys were saying to Tada-san; high top speeds are good for bragging and not much else because those speeds are useless in the real world. My car is in the same spirit of the GT86, though with a slightly different formula – still relatively light at 2660lbs, but with a larger engine. I’ve actually had people ask me what my car is because it’s the oft forgotten Toyota sports car, but it still turns heads to this day. It helps that the engine note is a bit beefier too, which gives it more aural presence than a 4-cylinder. Since the engine is mid-mounted, I opted for an all-aluminum 3.0L V6 (1MZ-FE) from the U.S. Camry to replace the aging iron block (boat anchor as it is lovingly called); not quite an engine with a favorable CoG as a flat-4 or flat-6, but I didn’t have teams of engineers to call upon. Output is very near to the MR2 Turbo and horsepower, at least, is near to the GT86 – 215hp/220lb-ft, but torque is flatter and it’s easier to drive around town. This will be my 12th year of ownership of the same car. If you build a car people will cherish and not dispose (the age of the disposable car is upon us now), I think you’ll rekindle a spark in people to not want to part with their “baby.” The GT86 is one of those cars. What’s next? Great article, but the problem still remains, namely in the American market the GT86 gets mopped up in a straight line by almost every mainstream car, from minivans to 3500lb sedans etc. It’s hard to take this car seriously as a sports car when it can’t keep up with a Toyota Sienna in a straight line. I get what Tada was trying to accomplish but, this car won’t have a long life cycle without addressing the power issue. No american made minivan can outrun the Scion FRS. No American made minivan can hit 100 mph in 15 seconds. The Honda Minivan is 4600 pounds and has 250 hp (it is one of the best minivans) It takes 20 seconds to hit 100 mph. The FRS is $25k. No 25k American made sedan can outrun it in the 25k price range. The Camry V6 is 28k The Accord V6 30k. The BRz is sold out threw 2013 and the FRS stays on the lot for no more than 5 days. Many of us don’t want another 3400 pound 400 hp car for 35k. I wish the FRS was 2500 pounds and 180 hp for 23k. When is a 140 mph car slow? Fantastic read, feels like there’s more to come! At least, I’d like to hear more! Thank you for sharing Mr Tada! Excellent read. I’ve only owned one Toyota in my life so far (a Starlet GT Turbo), but the ’86 has really caught my interest. That was a great read! Amazing car, well done Toyota! Arigato Tada-san!!!! Thanks for posting this. Would love to ready more about the Subaru/Toyota collaboration from the insider perspective. It is really hard to believe this car made it to market. But, am I ever thrilled that it did! Only had my BRZ a month and can’t wait to drive it more! I love my BRZ, and article made me love it a little more. Thank you LFA for letting me use your fuel-injection system! It was actually the duel injection system first introduced in the Lexus IS350 with the 2GR-FSE motor. Thank you Toyota and Subaru for building this car. The engineers especially deserve a lot of praise. They went against corporate culture and distrust to bring us a once in a lifetime car. This car was not about making money, it’s about engineers deciding to build a sports car that mattered and something they would be proud to say that they worked their butts off to make this happen. What an awesome group of guys at Toyota and Subaru. I have been the lucky owner of one these cars since August and I can tell you that Tada-san accomplished everything he set out to do. This car is rapidly making him a legend in the automotive industry. I spent 8 years of my life living and working in Japan and if there is one thing about the Japanese that I will always admire is their dedication and spirit. When they are put forth on a task, they will see it to the end in with the same vision as when they started. No distractions. This is great and more cars need more of the voices heard of what happened and how they came to be. I don’t understand how “the Subaru way is conservatism”. Subaru had its bloodlines in the lowly Leone and in its modern garb, not many manufactures had gone out of its way to release a 4 dr performance car and let it wear some of the most controversial fascia of the 2002/2003 Impreza, accompanying the North American debut of the WRX and then repeat it on the 2006/2007 models. Released at a time when most Japanese auto manufactures had killed off the idea of a sports car (Toyota, Honda), Subaru’s GD chassis went through 2 additional face-lifts for a niche performance vehicle, on a 4dr chassis no-less. When it came to a synergy between the two brands, the public clearly recognizes Toyota as the utility vehicle that gets from A-B, reliably, everytime, but performance has long left the logo cachet. I also owned a Yamaha engineered 4A-GE powered ae92 and it is a favorite car of mine. I have 23 days left until mine arrives (white with aero packet, leather red/black,…) Story is great to read. I also own the 4AGE (used in the AE86) which is in one of my AE92’s. They should keep up that good work and the thinking about having fun while driving and not have a car that takes the fun away and drives for you. That’s great to hear and thank you for your comments. We look forward to hearing about your new GT86 when it arrives, not too long to go now! I really can’t wait for these to hit the second hand market. I really want to get hold of one to drive, but it’s a bit out of my price range at the moment. It’s just such a fascinating car, and it’s very interesting to hear the inner workings of how it was built. A car with a story? Sign me up. Not to mention the awesome mod potential as was shown off at SEMA and the Tokyo AutoSalon recently. As a proud owner of the BRZ, I’d be surprised if there is a large supply of used frs/brz’s. Many owners are willing to wait over 6 months to get it and just speaking for myself, I’d need a life and death situation to sell it. For me, this is a car to pass down to your kid if they can appreciate it. We’re pleased you enjoyed the read! This is the full story, if we have any further details we will be sure to update you here on the Toyota Blog.